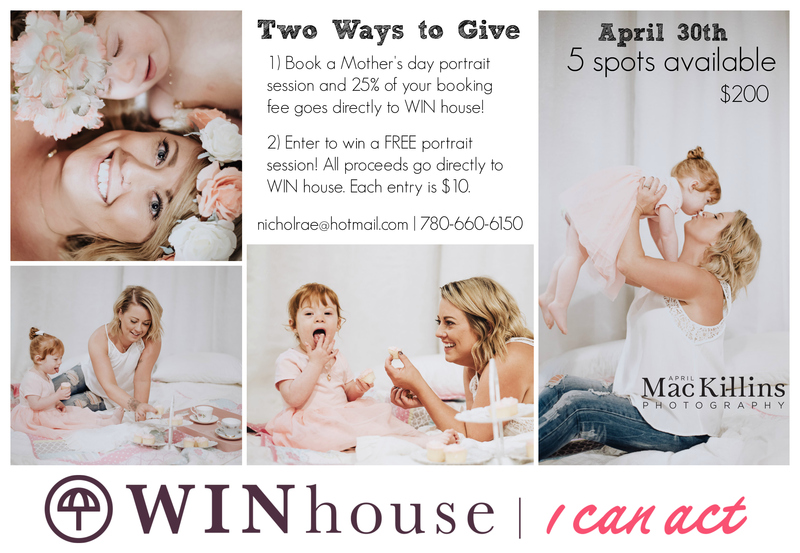 Book a Mother’s Day photo session with April Mac Killins Photography and 25% of each booking fee goes directly to WIN House. Sessions are $200 each and there are only 5 spots available for each day on April 29 (Outdoor shoots) and April 30 (Styled studio shoot). Also enter into a draw to win a free photo session with April Mac Killins Photography – every $10 gets you one entry.